You can simplify your life in five minutes. Life is busy and uncertain. You are short on time and energy. It’s hard to start something new. Decluttering your house or paying down debt could take years. Downsizing and relocating, or changing careers seems out of reach. 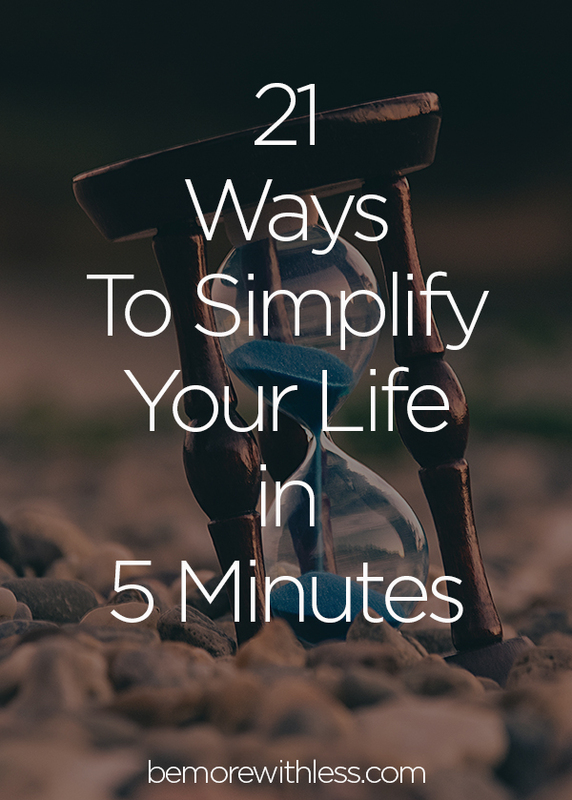 Simplifying your life sounds like it could take forever. That might all be true or not, but don’t let it stand in your way of getting started. When you make big change small, you don’t have to worry about how much time it’s going to take or what the big picture plan is. 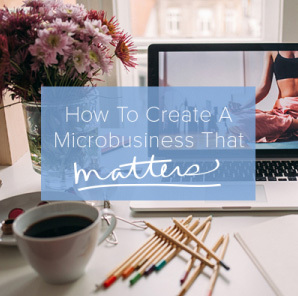 You’ll feel less overwhelmed if you can be proactive even in a small way. Twenty-one ways to (begin or continue to) simplify your life in five minutes. Choose one of the following recommendations. Set a timer for five minutes and then stop when you complete the activity or your five minutes is up. You could do them all in one day, but I recommend one or two a day to help build momentum. Consistency is more important than intensity, so a little bit each day will help you progress in a more enjoyable, meaningful way. 1. Cancel a non-essential appointment or item from your to-do list. 2. Dump your junk drawer in a bag and hide it. In 30 days, if you don’t remember what’s in the bag, get rid of it. 3. Make an appointment for a preventative exam (dentist, mammogram, physical). Life is always simpler when you are healthy. 4. Send me an email about something you are struggling to simplify. I’ll send you back my thoughts (If more than 10 people respond, I’ll make you a Q & A audio recording). 5. Delete games, social media, or other apps that keep you staring at your phone. 6. If you are in debt, read this 21-day guide to help you become debt free. 7. Unsubscribe from retail accounts and things you never signed up for. 8. Start your morning with five minutes of meditation or gentle stretches. 9. Start the 30-day mins game. Find one item to donate today, tomorrow find two, the next day three and so on. 10. 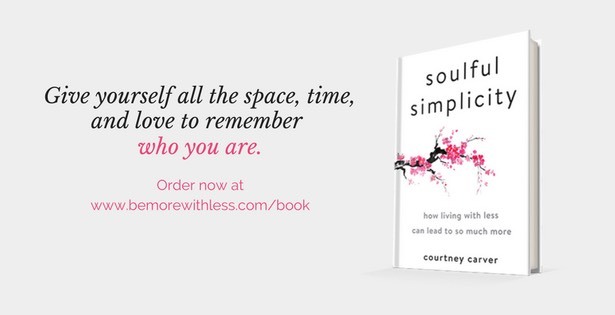 Follow @bemorewithless on Instagram for weekly live calls to inspire you to simplify. 11. Join the Be More with Less Facebook Page for simplicity challenges like this one. 12. Call local donation centers and see who will pick up your clutter when it’s ready so you don’t have to drive it around. 14. If you are sick and tired, read this article. 15. Make a list or write about how you’d spend your time if you weren’t so busy. 16. Make a cup of tea and stare out the window. 17. Put on your shoes and head out the door for a walk. 18. Put a box by the front door. Put clutter in it every day. 19. 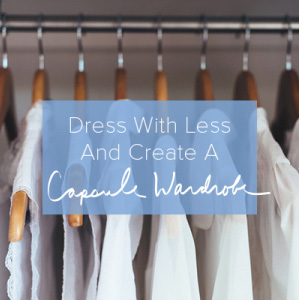 Grab any clothes from your closet that you haven’t worn in more than a year and donate them. 20. Call a friend and schedule a day to support each other as you declutter (in person or virtually). 21. Sit quietly and put your hands on your heart. As you work through these recommendations or choose action steps of your own, don’t compare or compete. This isn’t a contest or a competition.